Greetings! We would like to invite you to participate in the MOAPA Annual Primary Care Update being held at the Hilton Branson Hotel and Convention Center from July 11-13. On Friday the 12th, the conference will feature an exhibit hall where various companies can present their products and/or services to our attendees. The target audience for the conference includes over 125 physician assistants and any other healthcare providers of interest who wish to attend. The exhibit hall space at the Hilton Convention Center is expansive, which allows us room for growth if necessary. We truly are humbled by the amount of support that we have received through the years from our Exhibitors. We could not run a successful conference without you. If this is your first time attending, welcome! The exhibit hall will be open on Friday, July 12th. 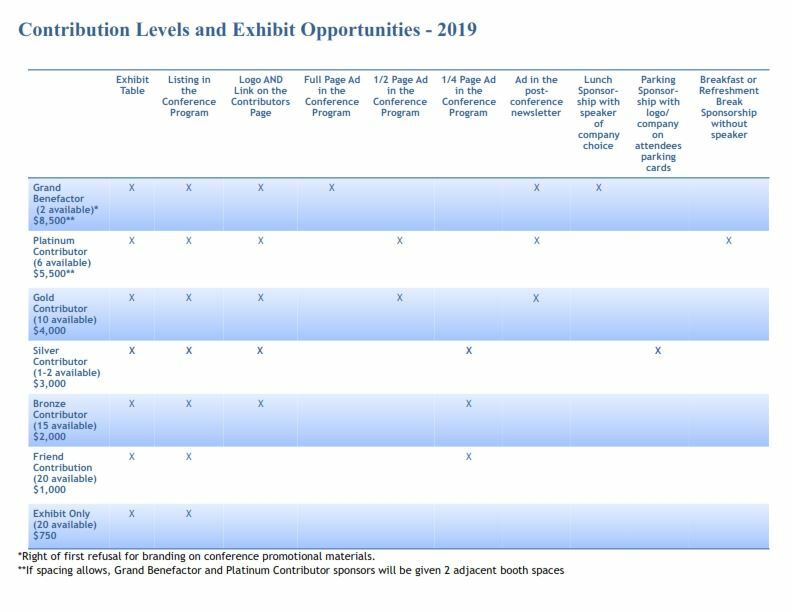 There are designated times for attendees to visit the exhibit hall, and those times can be found on the form entitled “Request for Exhibit Hall Display.” We have various levels of sponsorship for the Exhibit Hall, and a list of those levels can be found on the form Contribution Levels and Exhibit Opportunities - 2019. All sponsorship levels are available on a first come, first serve basis. To reserve your booth space today, please return the form entitled “Display Fee Agreement” to Melanie Chisam, PA-C at one of the below communication methods. Thank you for considering displaying at our conference. We would not be successful without our exhibitors, nor could we even host a conference. We appreciate your continued support of our profession, and we truly value the information that you bring to our attendees of this event. Should you have any questions, please feel free to contact me by text, phone, or email, which are listed below. Committee Chair Meredith Cunningham and I look forward to seeing you in July! Early Set-up - Time TBD. Please check in with Melanie Chisam at the registration desk in Fall Creek to receive your check-in packet. If not at the table, you may reach Melanie via cell at 417-844-3539. 7:00 AM - Registration and set-up in the Exhibit Hall begins. 10:25- 11:45 AM - Exclusive exhibit hall break. 2:55 - 3:55 PM - Exclusive exhibit hall break. 9:30 AM - 4:00 PM - Exhibit hall will be open to attendees should they want to come by for additional information during lectures. It will be up to each individual exhibitor if they wish to be present outside of the designated exclusive exhibit hall times listed above. NOTE: If support level is Bronze Contributor or higher, a high quality digital logo needs to be emailed to melaniechisam@hotmail.com. NOTE: If support level is Friend Contribution or higher, please submit a high quality print ad of designated size to melaniechisam@hotmail.com. 1 – skirted exhibit table with a tablecloth and table skirting. NOTE: Due to regulation changes, lunch is not provided to exhibitors. If you require electricity, outlets are available, however, this will incur an additional cost through Liberty Expo, the on-site event management company. Each exhibitor is responsible for providing their own power strips, extension cords, adapters, etc, or these will also incur an additional charge through Liberty Expo. Please indicate on the display agreement form if electricity is required, as I will plan booth space accordingly. Pam Hanlon from Liberty Expo will be sending out an email with all of the goods and services they offer to the exhibitors. You may order items through them as well at www.libertyexpo.com. Download the Display Fee Agreement and return this to the Exhibit Hall Coordinator. This form must be received by June 3, 2019 to reserve your booth space. If you need a copy of MOAPA's W9, please contact melaniechisam@hotmail.com. If you require hotel accommodations, The Hilton Branson Convention Center has extended a special rate for the conference. Click here for room rates and to make your reservation. If your company has a formalized vendor and/or grant process, please contact us at melaniechisam@hotmail.com.